Happy Friday! Today is the start of a new challenge at the SumMore Fun blog with a new mood board (you can see it at the bottom of this post). Here is what I created for inspiration! The stamps I used were Raisin Boat's Strokes of Pride and Flourishing Thoughts sets. I made the starburst background using the brush line stamp from Strokes of Pride and the wreath builder template with Distress Oxide inks in Fired Brick and Faded Jeans. The ice cream bar svg is from SnapDragon Snippets and is popped up with foam tape and decorated with Stickles. 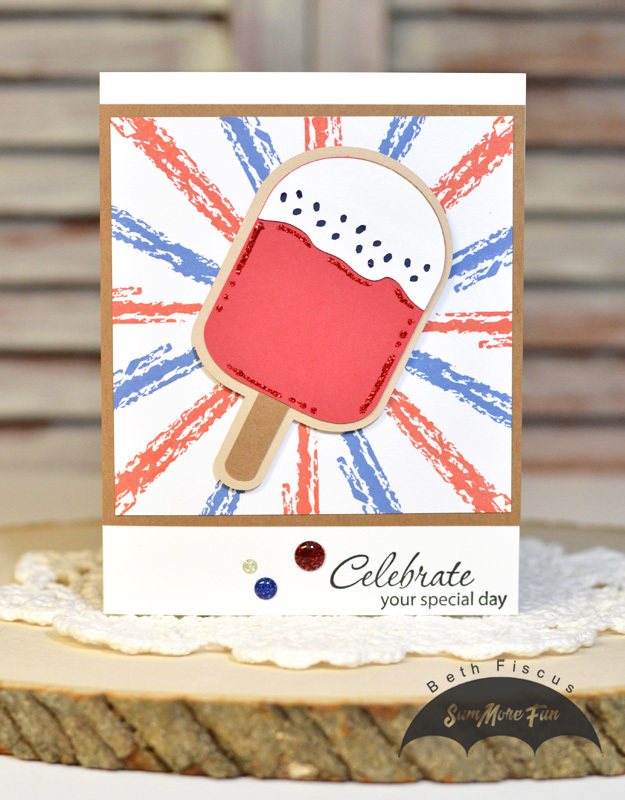 The sentiment was stamped in black in and I embellished with GMD Patriotic Sparkle enamel dots. You can enter using the theme, pictures, or colors. Lots of choices! 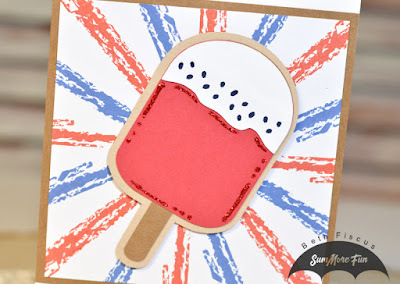 Head on over to the SumMore Fun blog and check out their challenge post. You have two weeks to enter your project/s. We can't wait to see your take on the current Mood Board. Click the store link below for an automatic 10% discount off your purchase! Or use BETH10 as your discount code at checkout for 10% off. 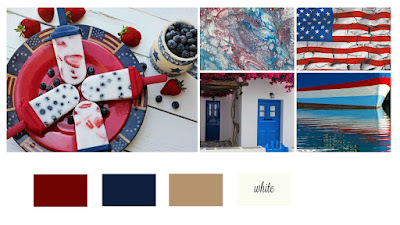 That Popsicle is perfect for this mood board; I can't get enough of it! Love the way you used the stamps for your background, too! This is so fun and creative! I love the popsicle and the stroke stamp behind it as the background! Wow! This card is just so darn cute! This card is super duper cute. I love how you did the ice cream.